Action for Children runs a breastfeeding group through Larne Parental Support Project. Detail Data attended one of their Friday morning meetings to hear about the feeding experiences of mothers. Feeding status: Bottle and breastfed Sophia, stopped breastfeeding at 12 weeks. Currently breastfeeding Chloe. 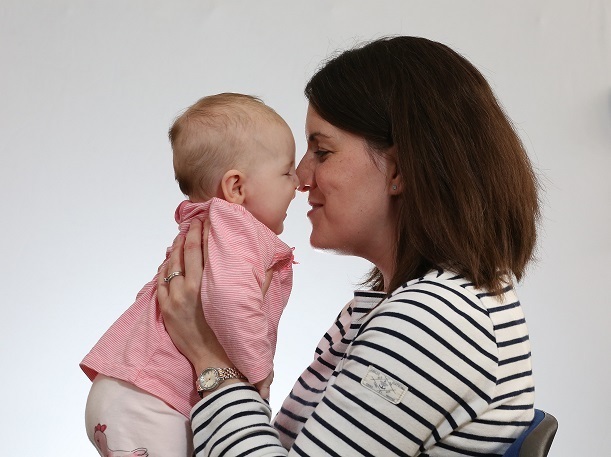 Postnatal experience in hospital: Sophia was initially bottle fed. Was offered the option of bottle feeding Chloe but chose to hand express and then express until breastfeeding was established. Julie Ann was tired. Comments on postnatal care: “A breastfeeding co-ordinator should always be on hand .... more patience with first time mums." Factors: Sophia was sleepy post birth. Sophia was placed in a pelvic harness at 12 weeks for hip dysplasia. Initially Chloe wouldn’t latch onto the breast (latched on second day). Chloe was jaundiced. After being discharged Chloe had to continue to attend hospital for a week. Tougher breastfeeding with a toddler running around so Julie Ann had puzzles and toys at hand to keep Sophia entertained. Advice for other mums: Attend a breastfeeding support group, the baby’s progress can be tracked and you can chat to other mums. “If you have any problems there is always someone who has been through it or a breastfeeding peer supporter can help.” The Northern Ireland breastfeeding group on Facebook (closed group) is a good information source. Feeding status: Bottle fed Timothy. Breastfeeding Rosanna. Postnatal experience in hospital: Timothy wasn’t having wet or dirty nappies and Jillian was advised to put him onto formula – he remained on formula milk. Jillian was tired. Comments on postnatal care: “Everybody said something different." Factors: Babies were sleepy when born. Pain when breastfeeding. Timothy had tongue-tie. Rosanna has been slow to put on weight. Postnatal experience in hospital: Marina had diamorphine and Anastasia was sleepy and difficult to feed. Factors: Marina got mastitis and suffered postpartum depression. Anastasia was feeding constantly. Advice for other mums: Join a support group – “it is so friendly, I have made friends. Helen Sherry (health visitor) helped me through it. I needed the support and I needed to get out as I was feeling so down. I was starting to withdraw from everybody and that was why the group has helped me. I enjoyed being able to talk, listen to other experiences and I managed to get through it – so you can get through it”. Postnatal experience in hospital: Austin fed well. Megan was relaxed. Comments on postnatal care: It all depended who was on, some were fantastic, others not so good. Nobody was really checking. Feeding status: Jude has been weaned and is still breastfeeding. Postnatal experience in hospital: Jude latched on but kept coming off. Jude didn’t settle the second night in hospital and Laura was offered the option of giving Jude a bottle, which she did. Laura was tired. 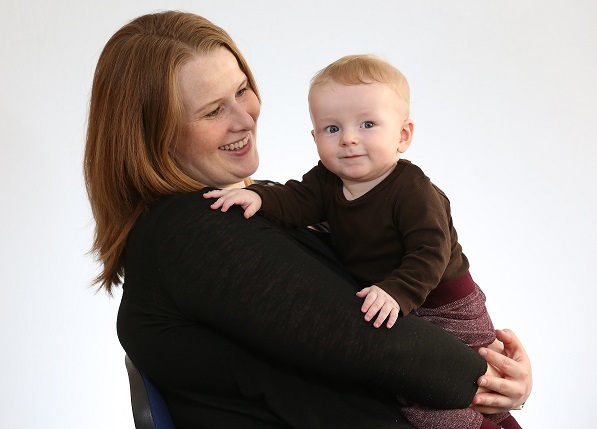 Comments on postnatal care: "I would definitely have liked more time and more help with breastfeeding." Factors: Initial difficulties with latch, Jude lost more than 10% of his birth weight post discharge so Laura combined breast and bottle feeding for nine days. She moved to exclusive breastfeeding around day 10. Advice for other mums: “I would say definitely get support from your family, partner and friends. If you know any other breastfeeding mums talk to them. I definitely recommend coming to a group." What is a breastfeeding peer supporter? 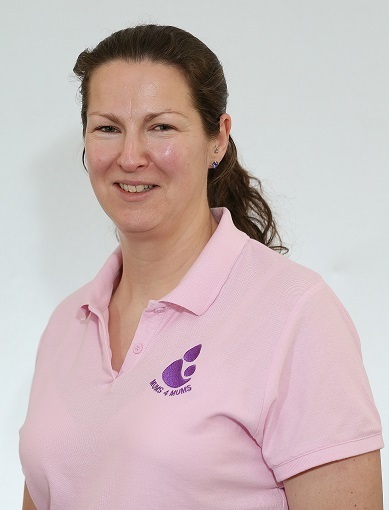 Helen was running an eight weeks peer support training programme. At the end of the course I got OCN level 2 breastfeeding peer support certificate. I come to the group on a Friday morning to welcome the mums. We also collect referrals from community midwives for new mums, contact them and let them know we are here if they need help anytime."